Samford University has named Dr. J. 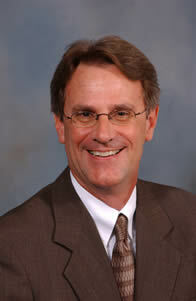 Mark Bateman of Baylor University as its new Associate Provost. He will have broad responsibilities providing administrative support to Provost Brad Creed, Samford’s chief academic officer. Bateman has been Executive Associate Dean of the Baylor School of Education since 2001 and a member of the Baylor education school faculty and administration since 1997. The new Associate Provost, who will join Samford August 16, will also hold the rank of Associate Professor of Education. Bateman was Associate Dean for Academic Affairs in the Baylor education school from 1999 until 2001. He held the rank of associate professor in the education school’s Department of Educational Administration throughout his tenure at Baylor. A native of Columbus, Ohio, Bateman holds the Ed.D degree in educational leadership and policy studies from Indiana University. He is a graduate of Carson-Newman College with an M.A. degree from Bowling Green State University. Prior to joining Baylor, he was assistant professor in the College of Education at Louisiana State University during 1994-1996, where he taught doctoral level courses. He was special assistant in the Texas lieutenant governor’s office during 1992-1994 and policy analyst for higher education to the Texas Senate Education Committee during 1990-1991. Bateman served as Dean of Student Development at Carson-Newman during 1989-1990 and as Director of Residence Life at Texas Wesleyan College during 1983-1985. He has written book chapters and scholarly articles on educational subjects and served as co-editor of the book, Condemning Students to Debt: College Loans and Public Policy, published by Teacher College Press of New York in 1998. Bateman and his wife, Lori, are parents of two daughters, Katy Grace, 4, and Sara, 2, and are in the process of adopting a child from China. Lori is completing an M.A. in religion with an emphasis on bioethics.